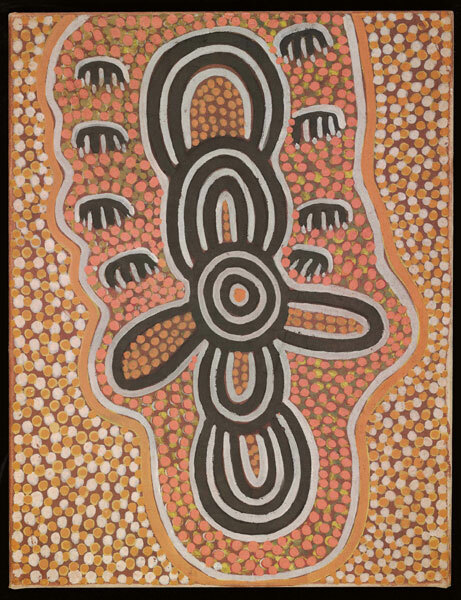 This artwork was part of a special slideshow feature for the exhibition Papunya Painting: Out of the Desert at the Australian Museum, Sydney Australia in 2008. Papunya Painting: Out of the Desert was a travelling exhibition developed and presented by the National Museum of Australia, Canberra. All works are © the artists or their estates and are licensed by Aboriginal Artists Agency 2007. They must not be reproduced in any form without permission.